Draw borders in accordance with the general techniques for drawing composite polygonal items. 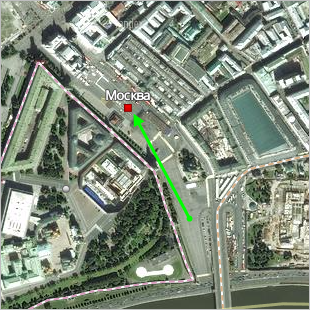 Cadastral state maps (for example, the Rosreestr maps at http://pkk5.rosreestr.ru/). Borders should circumscribe land plots adjoining private property, but should not run through fields, woods, etc. Borders should not run through buildings, structures, or the land plots surrounding residential buildings. 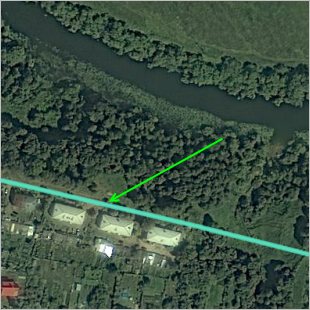 If a locality runs along a riverbank, then its border will either run along the riverbank or through the middle of the riverbed. Shared borders of administrative divisions should not intersect. 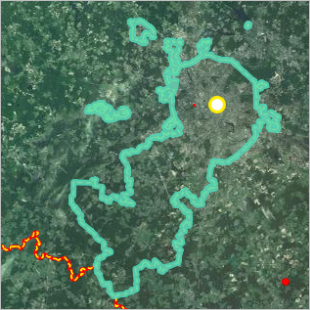 Use one line to map shared borders of administrative divisions (rather than two parallel lines). Administrative divisions should be unique. Map items with the same name should differ by type or by their location within the administrative division. All administrative units must have a parent map item (see Attribute description 3.2.2.3. Administrative submission), where the administrative unit (the parent) must fully include the child administrative units. Administrative division borders should be closed. 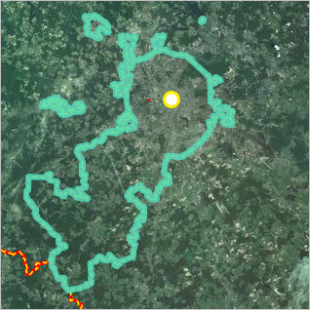 Sometimes administrative divisions can be drawn as a centerpoint without a polygon around it. The point should be placed around the area's geometric center. 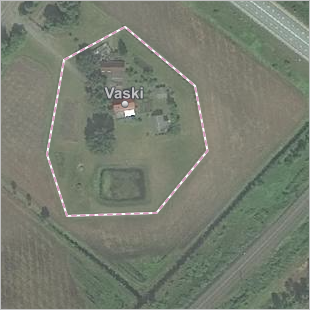 Individual homes and small structures on farms that have proper names but no numbered addresses. These are level 7 administrative divisions (Blocks). Residential complexes that consist of one building. 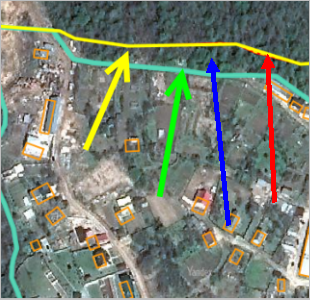 Plots of land that were previously inhabited but have since been deserted and no buildings, etc. remain there. These are level 6 administrative divisions (Named territories). Crossroads and small at-grade junctions with proper names. Such crossroads and junctions are considered level-6 administrative divisions (Named territories). In addition to marking the center for this type of administrative division, you can also represent it drawing a polygon around the center. When drawing administrative units, it is recommended that you indicate the position of the center of the map item (see Section 3.2.3. Drawing the center of the administrative unit). Deleting a previously drawn center is considered an error. You can't put the center of a division inside a building polygon if it will cover over address points and other places. Administrative divisions that can be drawn without using polygons are the exception to this rule (see point 3.2.1.4.5). In this case, the administrative center should be placed within a building polygon. If a locality consists of several areas that form different building developments, then mark the most important area as the center (based on the rules given in point 3.2.1.5.2). 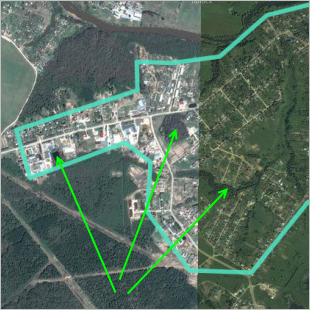 If the geographical center of a “city district” is in an industrial or undeveloped territory, then draw the center on the territory of a residential development within the borders of that administrative division. If possible, draw administrative divisions as a single polygon. You can make an exception in cases where the city is divided by a big park, river, industrial zone, etc., or the locality contains districts that are at some distance from the main area of development. 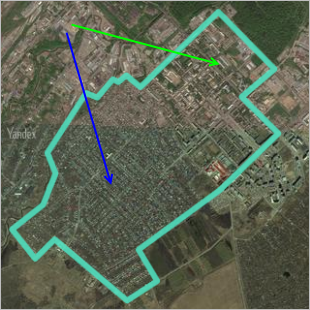 Draw block borders (marked with a green arrow) based on the contour of the building development and do not include fields and other territories that share a border with the block (blue arrow) even if they belong to the official territory of that locality (red arrow).